3 Trinity Lane Florissant, MO. | MLS# 18083614 | Real Estate in Saint Charles and Saint Louis Areas, including Saint Charles, Saint Peters, Weldon Spring, O' Fallon, Wentzville, Dardenne Prairie, Creve Coeur, Chesterfield, Florissant, Hazelwood, Kirkwood, Des Peres, Saint Louis City, Homes for sale. 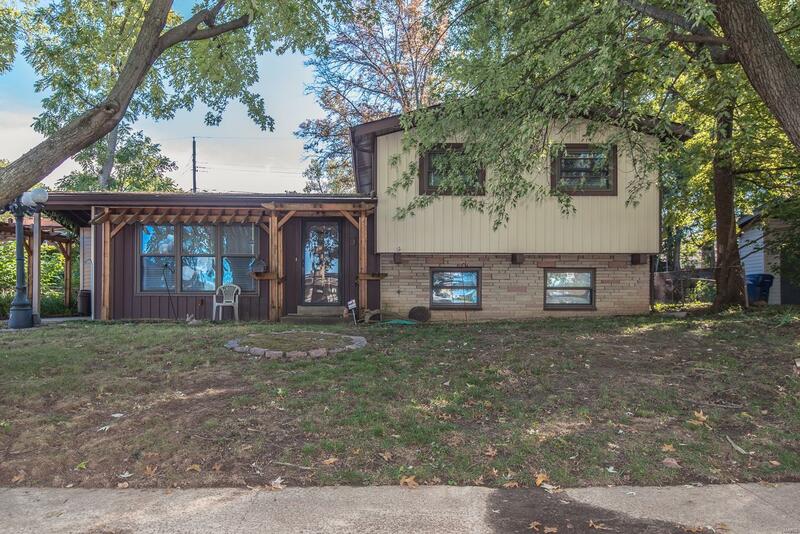 This multi level house has 3 Bedrooms, 2 Full Baths; Lg eat-in Kitchen area; Dining Room &/or Brkfst Room; Lg Living Room; Nice size Bedrooms, Lots of Wood Floors; Some Thermal Windows; Carport; Fenced Yard; & Garden area! Within a mile to Hwy 270 and easy accessibility to I-170, Hwy 370 & 70!! Location, Location, Location is a big selling feature for this house not to mention 1,600+ sq ft throughout! !